Known as the Venice of the North, Bruges is a medieval paradise replete with sweeping canals, quaint cobblestones alleyways, unique Gothic architecture and an utterly enchanting atmosphere. Bruges is not just a medieval looking town; it IS a medieval town. The streets are still lined with stones older than perhaps even my home country and even the most ubiquitous family house looks like a gothic paradise. Bruges, in English and French is pronounced “broozh” but in the native Flemish it’s called Brugge, pronounced “broo-gha”. Bruges is a UNESCO protected city, and as such, historians ensure that everything remains unchanged and its in perpetual state of Gothic opulence. Any renovations which are undertaken to protect buildings from the perils of old age are done with lots of research and employ only old materials to fix or repair any damage. Bruges is truly one of my favourite cities to visit. It feels like you could walk endless along the streets and continuously find new discoveries. It’s a fairy-tale like village and I think far too many people just breeze through it on a day-trip from Brussels. I think to truly experience the city at it’s best you need to spend the night and dedicate a good 48 hours to explore every nook and cranny of the city. Before you head out on your adventures, here's a bit of history to give you some context for your travels throughout this Gothic city. Bruges first established itself as a settlement in the 9th century. 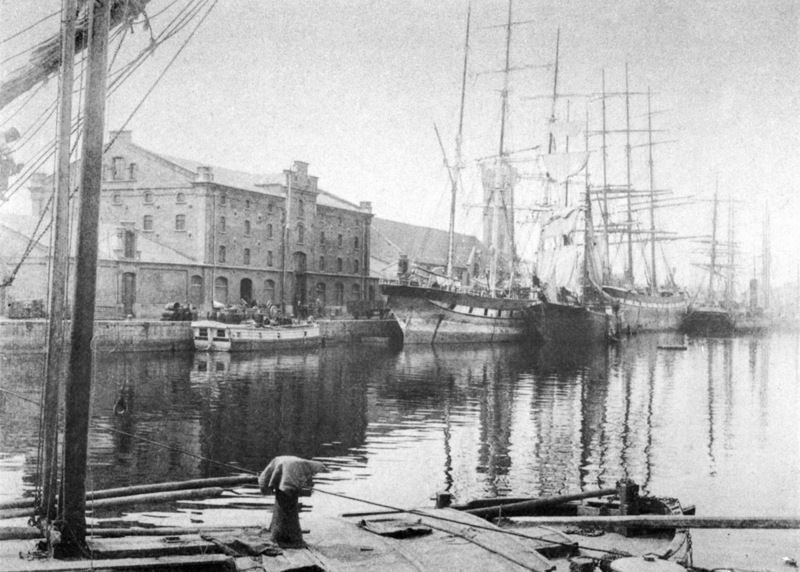 Since it was a city settled on the river, connected to the North Sea, it immediately became a hub for international trade. It was called Bruges after the old Scandinavian word Bryggia, which means harbour. In the middle ages, Bruges was one of the largest trade centre in north-west Europe. It specialised in Flemish cloth, one of the most important products in medieval times. Because the market for cloth was exploding all over the country, more and more money poured into the city. The overwhelming wealth which the city gained over the years allowed for Bruges to build some of the most impressive medieval architectural masterpieces in Europe. Throughout the 15th and 16th centuries, Bruges continued to fluctuate under an ever-changing economy. While other cities in Europe were able to expand, Bruges remained a small town. It couldn't keep up with the growth that was happening all over the world and eventually lost its position as a leading trade city to Antwerp with a population that doubled its own. Bruges slowly fell out of the limelight and eventually disappeared from European high society. In the 1800s, Bruges became the most impoverished city in Belgium as all trade routes into the city had shut. It is perhaps this period of poverty that we have to thank for the preservation of the city's historic architecture. There was no money for renovations, expansions or modernisation of any kind. In the mid 19th century, when the tourism industry started to creep outside the major cities into the countryside, people began to discover this untouched gem. People from all over fell in love with the antiquated facades and peaceful canals they found here. In the 1900’s Bruges became a popular tourist destination and eventually in 1970’s it added to the UNESCO World Heritage List and deemed a “medieval historic settlement”. 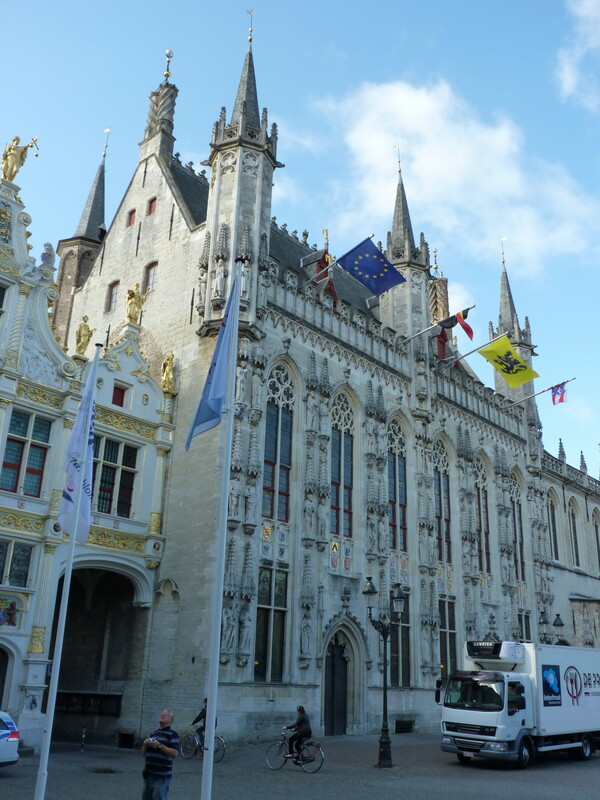 To make your way to Bruges you can either take the train in from any other European city into Bruges Station or fly into the Brussels Airport which is located about 110km east of Bruges. 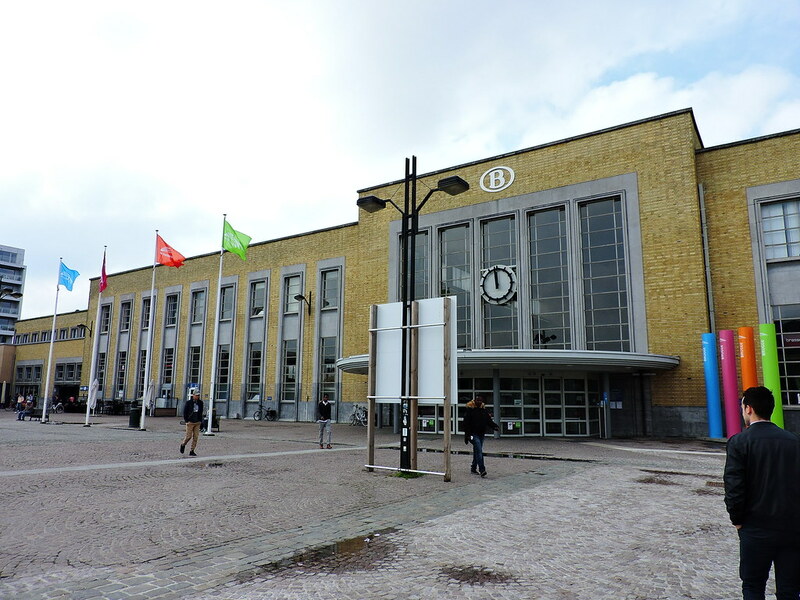 Direct trains from the Brussels Airport run every hour into Bruges station. From the train station, you can quickly get on a local bus that will take you into the centre of town. The commuter bus drives through the narrow, cobblestone streets of medieval Bruges at breakneck speed. There were a few close calls as we barreled around tight corners, but any locals on the bus didn't seem the least bit phased, so I took their nonplussed reaction as comfort and watched the red brick scenery pass us by. Our bus dropped us off in Markt Square, close to our hotel and we walked through the square dragging our rolling suitcases along as we went. TIP: Make sure you have sturdy wheels, or better yet, a knapsack, as suitcases with wheels will take a beating in this city! There pretty much isn’t a single smooth surface in the entire place. 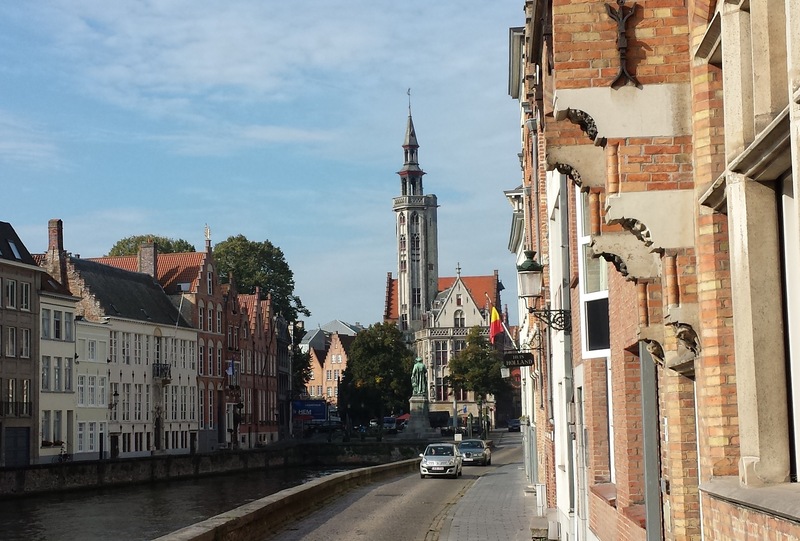 Another big tip for visiting Bruges is to stay at least one night in the city. Many people choose to visit only for a day trip and rush through the sites just to check them off their bucket list. I more than encourage spending a few days here to properly experience the atmosphere of this ancient city, both during the day and at night. Once the heavy loads of day-tripping tourists disappear in the afternoon, the true nature of the town comes alive. Locals open their doors, and the city feels more than just a postcard. Hotel Jan Brito can be found right in the center of Bruges, just a hop, skip and a jump from Market Square. The hotel is located inside 16th century manor house and staying in this place feels like your sleeping inside a piece of the history of Bruges. There are 37 different rooms to choose from but lucky for those looking for a good deal, they also offer budget rooms where you can stay that are still beautiful but offered at a great price. These rooms will run you $136 US/night. If you’re looking for a hotel to take your breath away, look no further than Hotel Bourgoensch Hof. This architectural masterpiece was once a famous brewery which overlooked the canals of Bruges. Despite it’s conversion to a hotel, the building still retains many of the architectural details which made it so unqiue when it was a brewery. If you can splurge a bit, book one of their canal view rooms. You can open the blinds in the morning or at night and sit on the windowsill looking out at the boats floating down the canal. Rooms will run you $180 US/night. More and more Airbnb options have been popping up all over Bruges. This is your chance to stay inside a historic property and treat it less like a hotel and more like a home. This option in central Bruges is a 17th century romantic little cottage tucked away an a private street. You’ll sleep in one of the most colourful and charming roofs in the city and relax in the morning with a cup of coffee in the garden. Airbnb’s always offer such unique experiences and properties. This one costs $183 US/night for two people. After you're settled into your hotel, it's time to dig your heels into the history, art and architecture that pours from the veins of Bruges. And what better way to do this than to take a stroll to get up close and personal with the city. You could do this entire walking tour all in one day but I advise you break it up over two days. Allow yourself time to venture inside the buildings and museums. If can’t make the time work, you can totally do this walking tour in one day but it will be a push!. The best place to start your tour is in the Grote Markt or Market Square. Seems fitting to begin your journey where Bruges first established its trading center and the location which would bring in all the wealth the city became known for. The first known marketplace was built here in the 10th century. Later on, in the 12th century, a wooden market hall was built to help house the fish and cloth imports and exports away from the cold and the sun.mThe square turned from a simple shopping arena into a meeting place for jousting tournaments, weddings, royal parades and even executions. Despite the passage of time, the square is still used today as a modern marketplace. Every Wednesday local vendors come out with their fresh fruit, vegetables, flowers, cheese and more to sell to locals and tourists alike! It's the perfect place to get ingredients for a picnic, so I highly recommend you visit here on a Wednesday morning! In 1996, the square was converted into a pedestrian zone where horse-drawn carriages and bicycles are the only modes of transportation allowed. Tourists can wander and gaze up at the buildings around them without fear of being hit by a car. And gaze up you will! While the horse and buggies might be too pricey for the regular tourist, bikes are a great way to explore the city and Market Square is always a choice place to rent out a bike for a few hours. "In the market-place of Bruges stands the belfry old and brown; Thrice consumed and thrice rebuilt. Still, it watches o'er the town." In the medieval ages, the Belfry's bells were the only indicator citizens had to tell the start of the workday, to signal for fire or even to mark the beginning a festival or event. In the 16th century, a 35-set carillon was installed in the tower. A carillon is a set of bells which could be played using a keyboard below the tower, creating a more musical sound than a few single bells rung from ropes ever could. You can still climb the 366 steps to the top of the tower as patrolmen once used to do, to look out for fires which could have destroyed the entirety of this incredible city. The view from the top is unparalleled and, worth the time and effort, it takes to climb up. These days the cost to climb the tower is € 12,00 for adults, if you have the money to spend this is a great experience. I recommended visiting the Concertgebouw Circuit if you want a great view across the city with a slightly lower price and vastly less tourists. The cost to visit the roof terrace on the seventh floor is only €8 and you'll also be able to see a fine collection of modern art. There is definitely a price you pay for history at the Belfry so just weigh which ones is more important to you. At the bottom of the Belfry Tower is a local french fry vendor who serves up some of the most delicious Belgian french fries. There are ongoing disputes over the term "french fries" and their origin. The Belgians insist it was them, the French disagree. The story goes that when American armies were stationed in Belgium, the Flemish military served them up one of their favourite (and inexpensive) meals - fried strips of potatoes. The American army LOVED them and took the recipe back home. They ended up calling them french fries since French was the local language in Belgium at the time and the Americans just assumed they were in stationed in France not Belgium since that’s the language they heard spoken. While the French aren't known for selling fries on the street, the Belgians have perfected this snack to be served on-the-go. They serve them alongside a mustard and mayonnaise dipping sauce which is an oddly delicious side dish and the perfect thing to eat to keep you going throughout your walking tour. While chowing down on your snack, take a moment to study the brightly coloured buildings which surround that square. Each one is topped with their iconic crow-stepped gables, which have become the quintessential characteristic of Bruges. Take a seat in the centre of the square, beneath the grand statue of Jan Breydel and Pieter de Coninck. 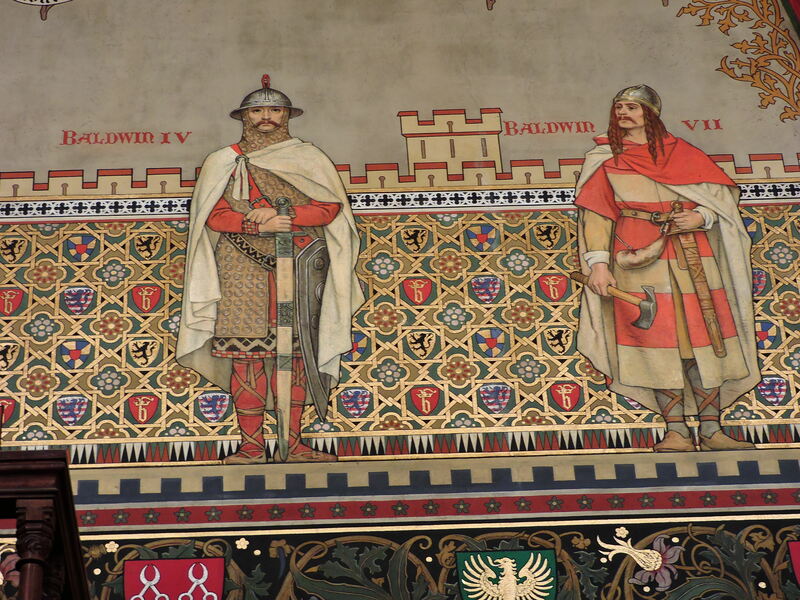 These two men are local heroes, known for leading the uprising against the invading French in 1302 and keeping Bruges a part of Belgium. Across from the statue is the Provincial Hof or Provincial Court. The building now houses the Government of West Flanders and a local post office but hundreds of years ago it was home to the largest port in Bruges. Initially built in 1294, it was demolished in 1787 and rebuilt in a Neo-Gothic style reminiscent of the original Gothic roots of the city. One of the most iconic parts of its design is the bright red dormer windows which pop out of the stone grey roof. Hendrik and Gustaaf Pickery designed all the interior decorations. You’ll find intricate stained glass windows and exquisite ironwork which covers all the rooms like wild vines. Gothic architecture was inspired by nature and the way in which the organic world is so free and ornate. The statues and murals within depict scenes of famous people from West Flanders, a visual history of the building of their great city spread out for you in art. Dumon Chocolates are one of the most popular souvenirs people bring home from Bruges. Belgium is known the world over for their chocolate creations, and Dumon has found a way of perfecting the art. Established in 1992, this family-run business has expanded around Belgium, but their first, family-run shop was right here in Bruges. As you open the door, you are overwhelmed with the sweet and slightly bitter scent of melting chocolate. The tiny shop is almost an arm's length wide but is charmingly cluttered. Chocolates glisten behind glass cabinets, and you can't help but start to drool. While there are no labels, the kind employees (all family members) will lovingly tell you about all the different kinds of chocolate and prepare you and customised box with all your favourites. They speak English in addition to French and Belgian but if you can't communicate you really can't go wrong with anything inside. Past Dumon, walking along the narrow streets and alleyways, you come upon Hof Bladelin. Hof Bladelin was once an aristocratic mansion, which has now been converted into a home for the elderly and a small museum. The Hof Bladelin was initially built in 1451 as the house of Pieter Bladelin and his wife, Margaret of Vagewierre. Pieter was the counsellor and treasurer for Philip the Good, the Duke of Burgundy. At the time, he was one of the wealthiest men in Bruges and wanted to build a house which reflected his enormous wealth. The Bladelin's has no children, and after their death, the house came up for auction in 1472. It was purchased by the Medici’s, a powerful Florentine banking family who is known for covering the most beautiful pieces of art and architecture from the world's greatest artists. The Hof Bladelin has the architectural design of a Gothic castle. The Renaissance courtyard was designed in Italian style and added to the building by the Medici family. 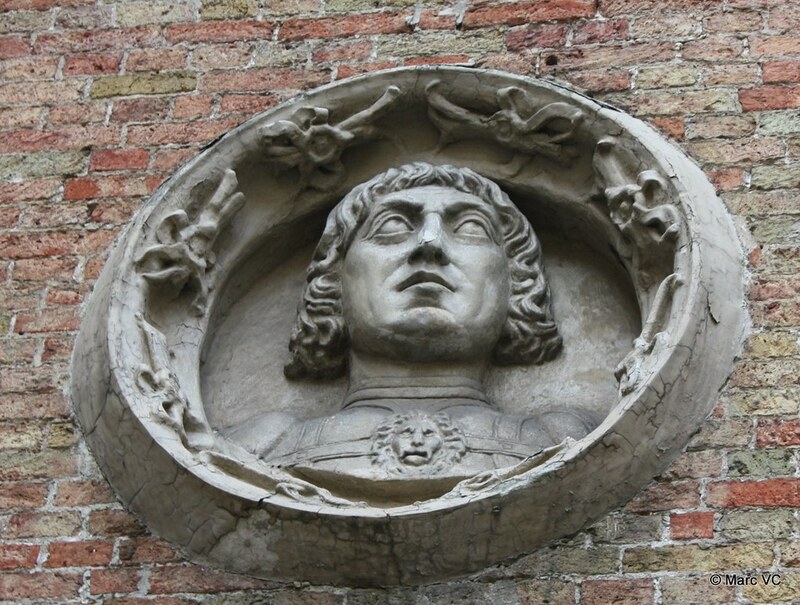 Stone medallion portraits of Lorenzo de Medici and his wife can still be found in the courtyard. The ribbed vaulted ceiling in the interiors has some interesting corbels adorned with scenes depicting the duties of Bladelin and the life of St. Alphege of Canterbury. 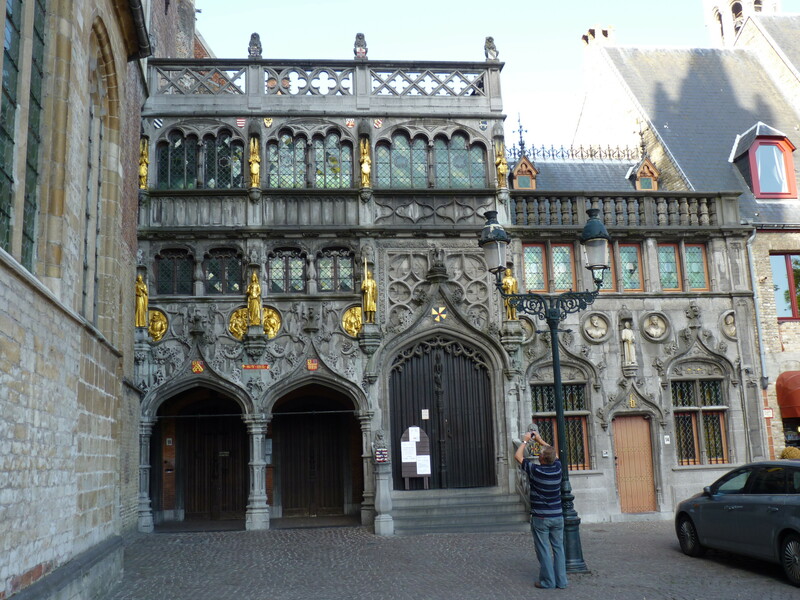 The Poortersloge or Burgher’s Lodge is an exemplary model of Gothic architecture in Bruges. It was built at the end of the 14th century and served as a meeting place for the burghers (a citizen of a town or city). One can admire its magnificent façade, decorated with stone figures; one of these is of the legendary bear, Beertje van de Logie, dated to 1417. In the past, banquets and festivities were held here; nowadays, the building contains historical documents. If you're feeling peckish, stop off at the Cambrinus pub. The building oozes history. The original pub was built here in 1699, and despite a few updates, much of the place remains the same. When you arrive, the waiter will bring you a book the size of a dictionary with over 400 varieties of beer listed, along with vivid descriptions, in various languages. There indeed is something for everyone. In addition to the best beer list in the country, their traditional Brugian food is also to die for. The rabbit stew is my favourite and will warm you up from the inside out if you are travelling in any of the colder months. Burg Square is one of the most stunningly old parts of the city. Surrounding you from all sides, are architectural gems from the Gothic era, the Renaissance and into the Neo-Classical revival. 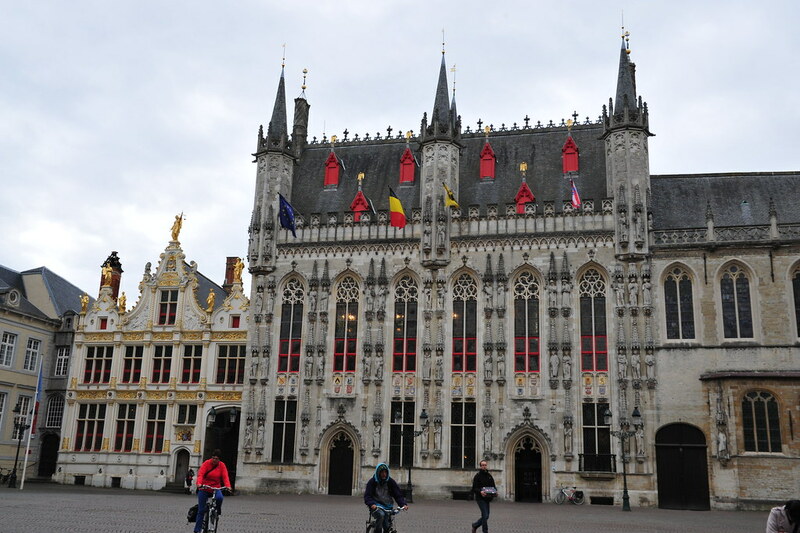 Burg Town Hall, or Stadhuis, is the oldest building in the square, built in 1376 in authentic Gothic fashion. Standing between the bright red painted window frames, are carvings of men from the Court of Flanders intermingled with biblical figures. Each one looking down at the townspeople below, guiding and inspiring them to do good in their daily lives. Sandwiched between the Town Hall is the Palace of the Liberty. This once served as the Old Court House for more than 200 years. The brilliant white painted facade with gold trim is decorated like a wedding cake with a golden Lady of Justice statue on top. In the corner of the square, tucked away so tightly it almost seems to disappear, stands the Basilica of the Holy Blood. This 14th-century church holds one essential item, a vial of “Holy Blood” believed to be drops of blood and water washed from the body of Jesus Christ. Behind its dark, richly decorated facade, hides and even more ornamental interior. The interior houses two chapels, each one the polar opposite of the other. The upper chapel is the crown jewel of West Flanders in high Gothic style. 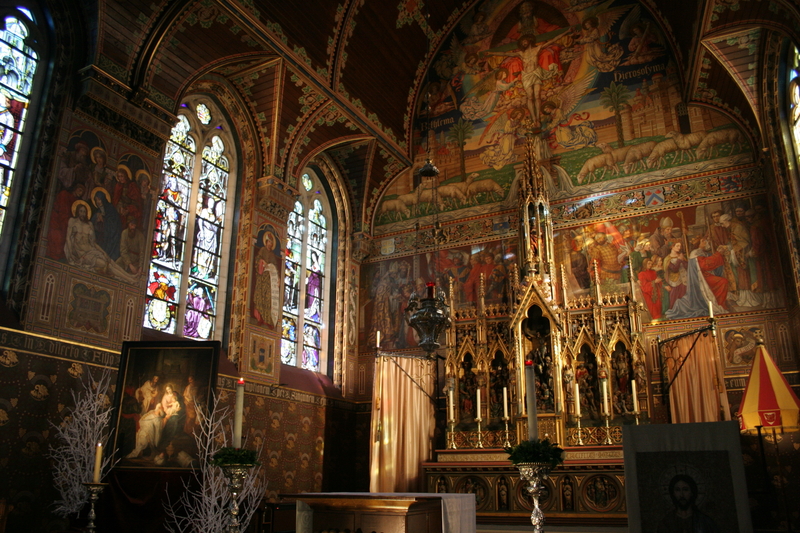 From floor to ceiling there are darkly painted murals depicting the Holy Trinity and various scenes of the journey of Holy Blood Relic to Bruges. Vividly portrayed stained glass windows provide the only natural light inside the chapel. To ensure the murals don't fade with time, little modern lighting has been installed inside so there is constantly this somber lighting which fills the church. The Holy Blood relic is embedded in a rock-crystal vial and placed inside a glass cylinder framed with two golden crowns. It is only shown to the public on certain days of the week so if you're making a pilgrimage just to see it, be sure to check the schedule. When it is not on display, it is housed inside a silver tabernacle with a picture of the Lamb of God on the front. In recent years the validity of the vial has come under question and investigations have shown that it is was nothing more than a Byzantine perfume bottle from Constantinople. But to those who believe, no amount of science can deter them. 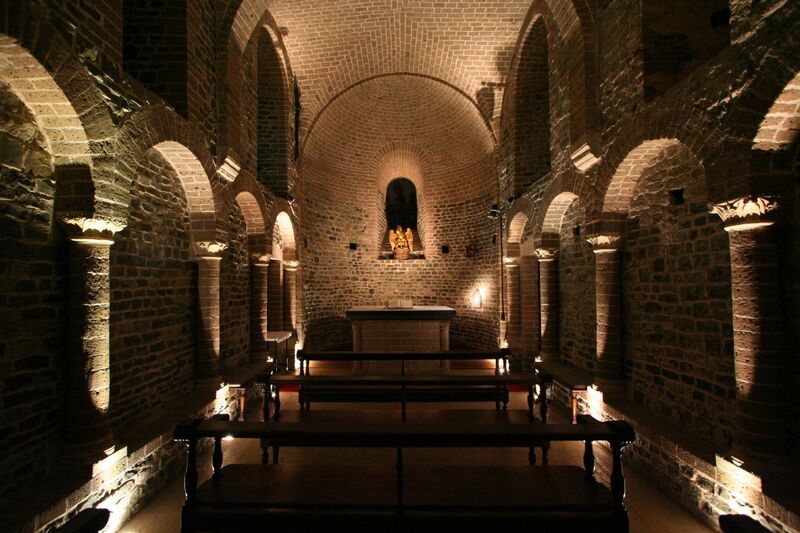 The lower chapel is a simple, Romanesque layout from the 12-century, the last Romanesque church in all West Flanders. This chapel has been virtually unchanged since it was first built. The two chapels are connected but a large brick staircase built in 1533 in the Renaissance style which was subsequently destroyed during the French WWII occupation but rebuilt in the 19th century. Moving from the one chapel, to the other is like stepping back in time and you really appreciate just how incredible technological advances really are. Across the bridge from Burg Square is the Vismarkt or Old Fish Market. The fish market was once located in Market Square, but the smell of the fish was so intense that people around the square complained and so it was moved further east. The covered stone arcade was built in 1821. The market is only open from Wednesday to Saturday in the early morning, but you can visit the iconic stone structure at any time of the day. 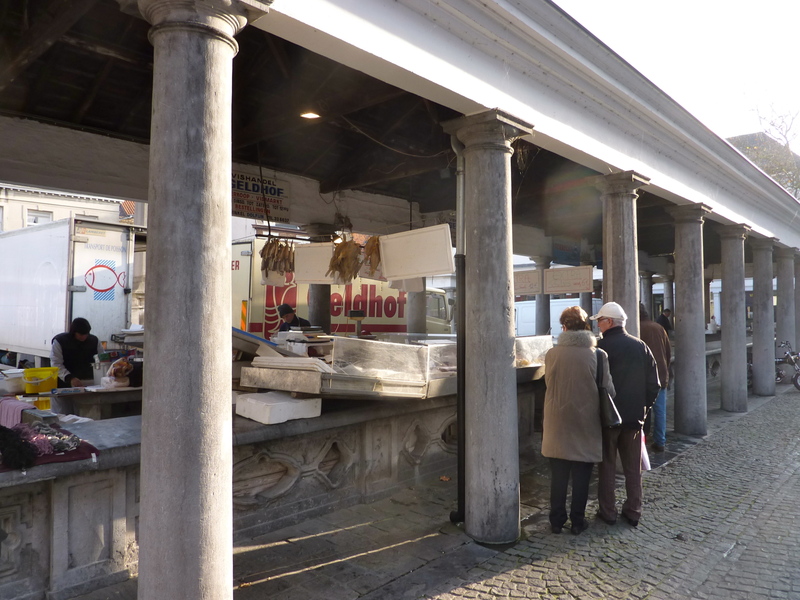 From the Fish Market, walk west along the Dijver canal. The canal's passageway from the fish market to Nieuwstraat provides a classical view of Bruges, great for picture taking. There are various restaurants along the canal which are reasonably touristy but do provide you with one of the most beautiful vistas in Bruges. If you just want to hop into one of their patios for a drink, I think the overpriced beer is well worth the scenery. This is a great place to end your first day, or if you're trying to squeeze it all into 24 hours, you can continue on from here. Across the street and down a few lanes from the canal is the Groeninge Museum. The Groeninge Museum is an essential stop on your tour of Bruges as it gives you an introduction to Brugian and Belgian art over the span of six centuries. The Primitive Flemish style of painting is featured throughout the walls of museums. Flemish art isn't classically thought of as exceedingly masterful since it can sometimes seem grotesques, raw and explicit. But that’s exactly what I love about it. Flemish painters were always trying to emulate their Italian counterparts when it came to achieving dynamic perspective, but the Flemish didn't have the technical skills to realise these effects. The result are images which appear almost warped, but whose expressions are so real they left a lasting impression on the people who viewed them. Across from the Groeninge Museum, you'll find the Arents House. Arents House was once an ancient manor belonging to the noble Arents family. It now hosts an extensive collection of paintings by the British artist Frank Brangwyn. While it might be worth a visit on a more extended tour to Bruges, today we are merely exploring its courtyard. The small square between the two medieval houses is the perfect place to stop and take a moment of pause. Listen to the sounds of cobblestones underfoot and the trickle of water which flows down the canal. From Arents Court you have one of the most splendid views of the Church of Our Lady's tower. If you're lucky, you'll hear the church bell rings across the street and the soft crowing of birds perched above. There are four exciting sculptures by artist Rik Poot, surrounding the courtyard, representing the "Four Apocalyptic Knights" which are a great compliment to the artistic surroundings. Before heading across to the Church of Our Lady, you'll pass across the Bonifacius Bridge. Despite only dating from 1910, is one of the most beautiful bridges of Bruges. The tightly interlaced cobblestones and red brick archway provide the perfect frame for the church towers behind it. Standing on the bridge, you can watch tourists paddle up and down the canal. Looking out from atop the bridge you have this lovely view of some of the most charming houses which peek out onto the water. All of the churches in Bruges are enormous. They seem to absolutely tower over the tiny houses below. The Church of Our Lady's tower is over 122 meters high, the highest point in Bruges and is the second tallest brickwork tower in the world. Because the church took over two centuries to build, it combines various evolutions of architecture both Gothic and Baroque. While the interior might not be as grand as it's exterior, it is still worth poking your head inside. The central organ is a small but opulent design, hiding behind the high altar screen. A few dozen simple chairs provide seating for the small but dedicated congregation. The altar screen is unique both in colouring and design. Its white and green coloured marble interior are highlighted with splashes of gold leafing. The green marble is definitely a feature which you don’t always see and what makes this cathedral interior extra special. Along the nave are columns dotted with reliefs of various influential saints. On the right side of the nave, a large wooden pulpit stands at attention, dozens of beautifully carved cherubs hang off the sides, clinging to books with golden scriptures written on them for the people below to read. Behind the high altar is the resting place of two of Bruges' most famous residents. 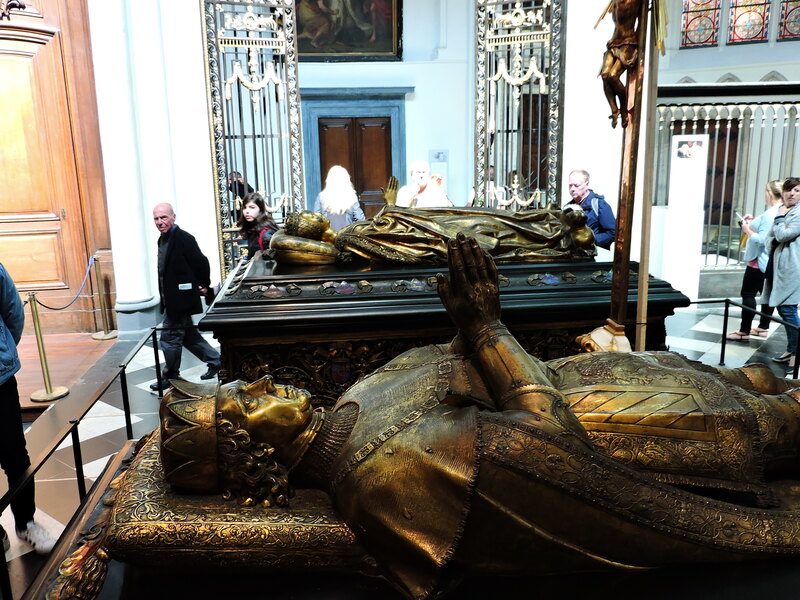 The golden tombs of Charles the Bold and the Duchess Mary of Burgundy lie in quiet repose beneath a magnificent tryptic. Their elaborately designed tombs are worth taking a look at, so don't miss touring the back half of the church. The crown jewel of this church is the white marble sculpture of the Madonna and Child created by Michelangelo from 1504. Over the years, the statue has been stolen by foreign invaders, but those dedicated to preserving its place in Bruges have always managed to bring it back home. Although this sculpture doesn't have the same impact as Michelangelo’s Pieta in Rome, the sadness on the Madonna's face reflects her knowledge that this little boy will grow up only to die for the sins of his people. It’s an ominous prelude of things to come and a wonderful piece of Michelangelo’s portfolio. Away from the Church of Our Lady is the Gruuthuse Hof, a small but historic dwelling, adorably sandwiched between two major streets. Although it has now been converted into a restaurant, the Gruuthuse Hof is one of the oldest residences in Bruges. While in one of the most prime locations for tourists, the restaurant manages to keep a somewhat simple, traditional menu which caters to both locals and tourists alike. With only 28 seats inside and 12 on the patio, the place remains intimate despite its popularity over the eras. If you can find a table, it's worth stopping in for the featured meal of the day. Up from the Gruuthuse Hof is St. Salvator's Cathedral. It is the oldest parish church in Bruges with parts dating back to the 10th century. But the original design was much less grandiose than the current incarnation. In 1834, after Belgium's independence, St. Salvator's was given the status of a cathedral and the meager church had to be extensively renovated to match its new profile. The architect of the new cathedral was William Chantrell, an English architect, who was greatly influenced by the resurgence of Neo-Romanesque architecture. Neo-Romanesque buildings feature thick walls, round arches, sturdy pillars, barrel vaults, large towers and decorative arcading. Because most of the rest of Bruges is so powerfully Gothic, this church really stands out. The neo-Gothic interior of the church is relatively plain but is accented with stunning embroidered tapestries from the 18th century. These antiquated works of art were made in Brussels by Jasper van der Borcht and featuring astounding scenes from the Bible, all created with needles and thread. The pulpit, to the left of the nave, is a stunning example of Louis the XVI’s designs. Designs of Louis the XVI were predominantly produced in France and exemplified the last phase of Rococo style. The techniques focused on natural forms and dramatic embellishments. Walking back down from St. Salvator's Cathedral, we come upon Old St. John's Hospital which is now the Memling Museum. Before becoming a museum, it was used a hospital for the sick and dying, who were administered to by nuns and priests. Inside are many different relics and six paintings by 15th-century painter, and Bruges resident, Hans Memling. One of the highlights inside is the Shrine to St. Ursula. Carved into a gilded wooden reliquary, in the shape of the church, are six panels which tell the story of St. Ursula's sainthood, painted by Memling himself. The work was commissioned by the Hospital of St. John and is one of the most exquisite pieces of religious art I've seen close up. The three-dimensional details and rich colours are remarkable. Inside the museum, you can also visit the old pharmacy. It's a real treat for anyone who loves going back in time and seeing how sickness was treated back in the 1800s. It will make you very thankful for modern medicine that’s for sure! 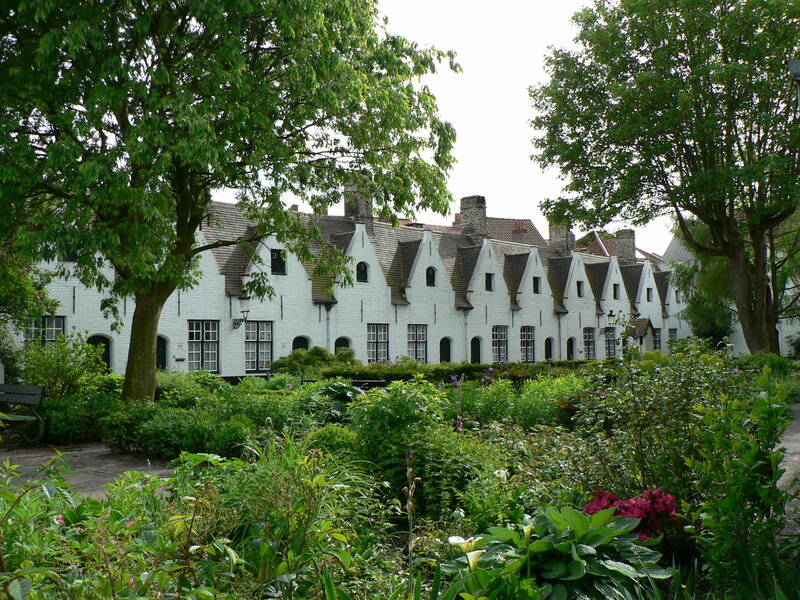 Further south, away from the central part of the city, we will come across the De Vos Almshouse. This small grouping of little houses, facing a lush green herb and flower garden once housed poor residents, widows and the elderly. The homes were purchased by a wealthy Brugian merchant who loved his city and wanted to give back to the less fortunate. Each house was donated to a specific guild (eg; the mason's guild, the blacksmiths, the coopers etc.) and would provide housing for members of that guild when they became too old to work, fell ill or lost their jobs. You might notice how none of the houses have windows which face the street - this was because at the time of their construction there was a tax imposed for any street-facing window and so save money the builders were sure to avoid designing any street-facing windows. Before entering our final destination be sure to stop into the Beguinage 'De Wijngaard' or Vineyard. This grouping of identical looking white houses is one of the most peaceful places to rest your weary feet in Bruges. So far away from the centre of town, this site is often unvisited by day-tripping tourists so you’ll usually have it all to youself. Since 1245, the Beguine sisterhood of Bruges have lived here, and in 1937 it became a monastery for the Benedictine sisters. To enter the Beguinage, you first pass through a large arched entrance gate built in 1776. Inside you find houses which range from the 15th to 19th century. Minnewater or Lake of Love is one of the most beloved retreats for the remaining permanent residences of Bruges. Again, since this is farther away from the historic centre, you’ll find that less tourists make their way here and more locals are seen simply enjoying a day out in the park. Swans float up and down the picturesque canals and lovers roam under the densely forested pathways, arm in arm. This is the ideal place to come to reflect on your time in Bruges. Head up from Minneswater towards 'T walpoortje restaurant for a great dinner to end your long day! If you're wondering what to eat on your last day here, I recommend the mussels or moules and frites as they’re called in Bruges. Mussels are a Belgian specialty. They are so simple to cook, so you really can't go wrong. The ones here are extra delicious and you won’t be able to leave even a drop behind! If you’ve taken my advice and planned to stay the night you’re in for a treat! Nighttime changes the appearance of the city. There is something about when the sun sets that makes even those little modern touches disappear and you’re left with only the medieval roots of the city. Many of the historic buildings are lit up at night, giving them an eerie golden golden against the midnight blue sky. The street will be as quiet as you’ll ever find them. We walked for almost an hour without seeing a single other tourist. Only the gargoyles looking down on us. It was spooky but honestly one of the coolest experiences of the trip! Make the effort and stay the night and you’ll be rewarded with something truly special. And with the setting of the sun and the night drawing to a close, it’s time to head home. This concludes my little walking tour and guide to Bruges. I hope this helps you plan out your time on your trip to this magical Medieval city! Let me know in the comments what your favourite part of the city was or what you’re most interested in learning about on your future travels out in Bruges!